When you go on an African safari holiday you don’t want to worry about anything except, if you will see the illusive leopard or not or will you be able to see a rhino at all. You should be free to enjoy the safari you were looking forward to for so long. In order to achieve that, you should have a travel insurance. Pretty much all insurance companies offer travel insurance and it can be challenging to go through all the plans to make a decision. 2. Medical and hospitalization expenses including emergency assistance, accidental death and disability, personal injury. 4. Cancellation or curtailment of your travel. 5. Damage/theft/loss of personal baggage/goods/money/any personal effects of whatsoever nature and value. 6. Costs incurred as a result of changes to arrangements such as the cost of a private charter should you miss your (connecting) flight for any reason whatsoever. The cover for cancellation of your safari holiday varies per insurance plan. Study carefully the terms and conditions of the plan to know in which cases cancellation is covered. Some cover for medical reasons only, others include cancellation for work reasons and the most comprehensive cover includes cancellation for any reason. These variations come with different price tags and in general cancellation for medical reasons is sufficient, but it the cover for work reasons can be very useful. Once the travel insurance is sorted, you can focus in the joys of an African safari and get worried about which zoom lens you should bring with you or what to wear. Moremi Game Reserve is part of the Okavango Delta and number one on every Botswana safari wish list. 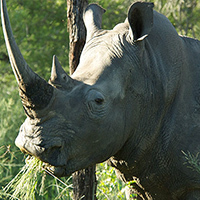 The game reserve is renown for its abundance of wildlife and the great variety of safari activities, on land and water. The reserve is unfenced and its boundaries are defined by natural water systems. The vegetation is varied, with dry land complemented by permanent and seasonal swamplands, resulting in an excellent diversity of both wildlife and birdlife. There is a great network of game drive routes through the reserve. Boating can be enjoyed in Xakanaxa and Mboma where the channels are connected to permanent delta waterways. Moremi is excellent for viewing the endangered African wild dog. Xakanaxa is home to a resident herd of several hundred buffalo whose range covers the territories of at least four prides of lion who hunt them. Breeding herds of elephant move between browsing areas in the mopane forests and the fresh waters of the Okavango. Red lechwe are one of the more unusual antelope species commonly found here. Game viewing in the Moremi Game Reserve is excellent year-round and varies between the seasons. During the dry season (Apr – Oct) the game is usually concentrated around permanent water sources as seasonal pans dry up. From September to November migrant birds such as herons and storks return to the area guaranteeing prolific bird watching which remains excellent throughout the summer months. In the rainy season (Nov – Apr) Moremi captivates its visitors with wild flowers, dramatic thundershowers and spectacular sunsets. Most of the animals give birth during this period and newborn antelope attract a variety of predators. The main areas of this top-rated African safari destiantion are the Khwai River, Xakanaxa Lagoon, Third Bridge and Chief’s Island. The Khwai River traverses a picturesque region characterized by tall evergreen trees lining a wide floodplain. 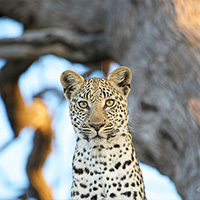 It is situated on the north-eastern tip of Moremi Game Reserve and provides remarkable sightings of predators and prey. 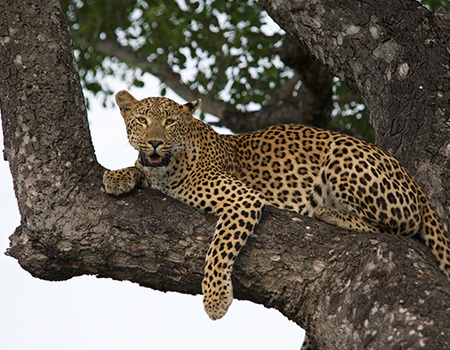 The elusive leopard is spotted regularly and birdlife is abundant with saddle-billed storks, wattled cranes, and many species of kingfishers and bee-eaters present. The Xakanaxa Lagoon lies at the tip of the Mopane Tongue, where substantial mopane forests and a system of deep waterways and shallow flooded areas come together. It is where the desert meets the delta. The striking landscape is packed with game and leopards are seen frequently even though they are well-camouflaged, solitary and shy. The lagoon is also a good place to find the African wild dog and the sheer density of antelope is staggering. Exceptional and varied birdlife is the order of the day at Xakanaxa Lagoon, renowned for the breeding colonies of birds that congregate on its tree covered islands. Seasonal sightings include innumerable herons, egrets, storks and other waders, to the many species of sparrow hawks, buzzards and kites. There are three camps in this area situated along the shore of the lagoon, Camp Moremi, Camp Okuti and Xakanaxa Camp. Many areas of the Okavango Delta are largely dry including Chief's Island, arguably the Okavango's most famous isle. Once the royal hunting ground of Chief Moremi, the traditional leader of the local tribes donated it as an extension to the Moremi Game Reserve, which it was incorporated into in 1976. Chief’s Island is now one of the region's best locations for spectacular wildlife viewing and hosts three luxury safari camps. Chief’s Island is the first part of dry land that the flood waters reach in the greater Okavango region. Most of the nutrients carried by the water are deposited here and this results in vegetation for rich grazing and browsing for wildlife. These nutritious grass plains support herbivores in large numbers and associated high population of predators. Chief’s Island is also called “predator capital”, the perfect place to see the big cats. As Moremi is not fenced in, it can be a good choice to stay at one of the neighboring private concessions. A number of lodges can be found in the private concessions bordering Moremi Game Reserve, offering the wildlife viewing of Moremi without the crowds. As there are no fences between the reserve and these private concessions, animals are free to roam. Since these areas can only be explored by guests staying there, the game viewing experience is an exclusive one as well as a great one. As these areas aren’t governed by National Park rules, night drives and walking are also possible. In addition to land-based activities, some of these camps also offer the water-based activities and the scenic landscapes of the delta. Make sure you will experience a perfect African safari in Moremi or at one of the private concessions by making an informed decision on the camp you choose. Keep the seasons in mind and the floods to enjoy all safari activities possible. There are many packing lists for African Safaris and there are essentials, which make sure you feel comfortable and happy. They also ensure you pack weight wise with regards to your light aircraft transfers. And for emergencies the safari camps offer laundry service, mostly ready on the same day. Bring one pair of closed shoes you are very comfortable with, light and easy drying. Sneakers are fine or light walking shoes. You don’t need mountain boots on safari. Bring a light rain jacket. This is comfortable of course when it rains, but also for wind. It can get chilly on open game drive vehicles and it helps a lot when you have a light jacket to break the wind. Bring a fleece jersey. They are very light, dry very quickly and are cozy and comfortable when you feel a bit cold or very cold. Even in summer it gets chilly after rain and in winter they are just great. Bring outdoor trousers rather than jeans. In the hot and humid summer the jeans will be much too warm and uncomfortable on the game drives. Outdoor trousers are the best and work well in winter with warm underwear. Bring one fast camera and lens you can use for everything. Changing lenses or having several cameras with you can become stressful on game drives. Don’t end up being too busy with your photo gear and missing wildlife and nature around you. These essentials might sound obvious, but one can get lost when packing for an African safari. Keep it simple, light and practical. Have items, that combined are suitable for all situations you might encounter on safari. Don’t worry about fashion, hairdryer or makeup. That will cause only stress and will not make any difference to the bush and the Big Five. The myth of the Big Five lives in every safari booking and they are on top of every bucket list of safari guests. The Big Five are the leopard, the elephant, the buffalo, the lion and the rhino (actually the black rhino, but the white rhino is also accepted). They are the most difficult and with the most danger involved animals to hunt on foot. The term comes originally from big game hunters, but has been adopted and brought to mystic heights through African safari tourism. Who does not want to see the elusive leopard, hard to find and quickly gone when he/she doesn’t want to be seen? The elephants are often seen as the cuddly giants, but an unhappy elephant is rather dangerous than cute. Buffalos don’t give a warning, they just chase suddenly and some game drive vehicles have experienced that, fortunately with little danger for the guests. The big male lion is the wildlife photographers dream, hopefully with the great light of the golden hour and with majestic posture. And then the rhino, threatened by poachers for their horns, they are impressive animals from pre-historic times, difficult to get good pictures from, that capture their beauty and personality. 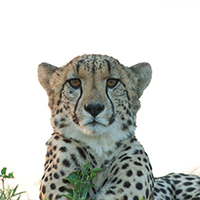 One animal, that is often mixed up with the Big Five is the cheetah. The cheetah is not part of the Big Five, as they are not difficult to hunt, although who would like to hunt anyway any of these amazing animals. Fortunately times have changed and is the hunt prohibited in some African countries. Yet there is still lots of work to do, to ensure the Big Five will be around for safaris also for future generations. Hunting with the camera is luckily easier and provides joy for everyone, the photographer and the animal.